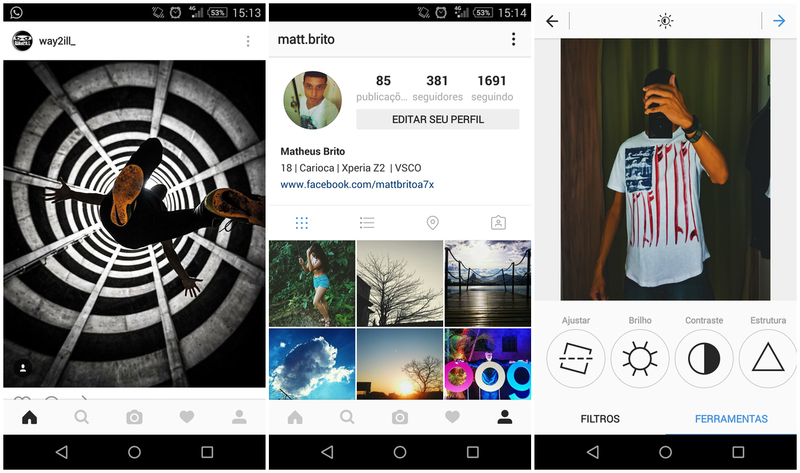 Some Instagram subscribers on Android have been seeing a change in the picture sharing app's UI. Since this seems to be coming from a server-side update, there is nothing that users need to do, but there also is no changelist to discuss. The new UI is showing up randomly, with the blue bars and borders replaced by a cleaner black and white look. Icons also have been changed. Instagram originally announced that an Android version was in development back in December 2011. Not terribly long after launching the Android app, Facebook purchased Instagram for $1 billion. In the years since, Instagram has become one of the more popular social media destinations. Many of the smartphone manufacturers are using their Instagram pages to show off current models and talk to consumers. If you have a problem with your handset and can't seem to get any feedback from the manufacturer, going to their Instagram page to spill your frustrations will sometimes lead to a solution.